The kitchen is the heart of the home, and often, predictably, the source of the most food waste too. I have gathered together some top tips below so you can take control of your food waste at home and make some changes for the better. You might be surprised at how simple a lot of these tips are to implement, and how some can save you quite a lot of money too! Check the fridge temperature: food will go off a lot quicker if the temperature is higher than 5°C. If your fridge doesn’t have a temperature gauge, place a thermometer in a glass of water inside the fridge overnight to take a temperature reading. Create a meal plan — if you know what you’re going to be eating every day, you’ll know exactly what ingredients you need to buy. 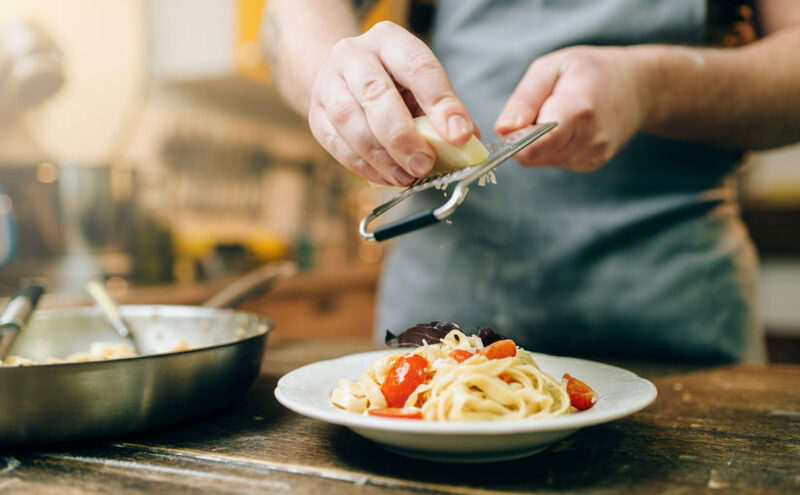 Measure your portions so you aren’t cooking too much at once. Freeze your leftovers if you’re not going to eat them the next day, and then you have a much bigger time frame in which to eat them. Freeze excess dairy products — milk and cheese can both be frozen to preserve them. Give the milk a shake when it has defrosted, and make sure you cut the cheese into small chunks or grate it before popping it in the freezer. Use up stale bread using these tips. 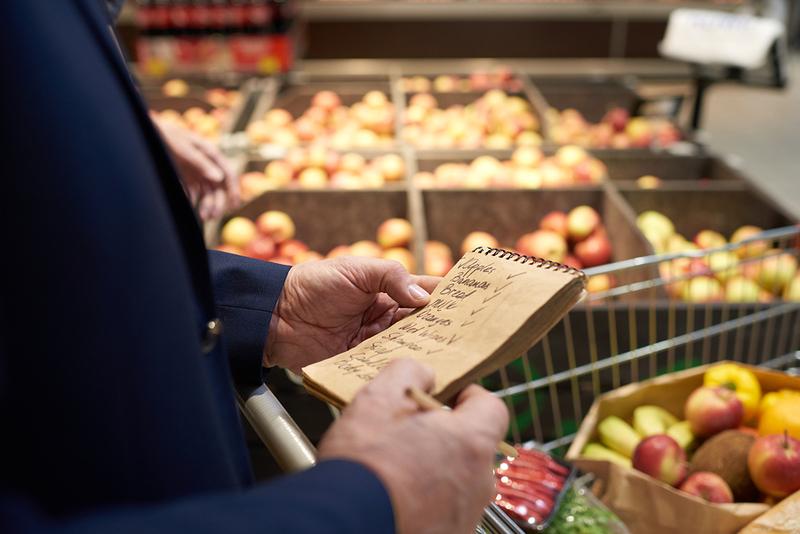 Write and stick to a shopping list — that way, you’ll only buy what you need. Check which ingredients are stored best in the fridge and which last longer in the fruit bowl or on the kitchen worktop. Foods that keep better outside of the fridge include potatoes, bananas and onions. Practise fridge rotation and place the oldest food to the front of the fridge, adding the freshest items in at the back. Start a compost bin so when you do find yourself with food waste, you can compost it and use it to nourish your garden. Take a ‘shelfie’! If you take regular photos of the inside of your kitchen cupboards and fridge, you won’t find yourself accidentally buying the same item again at the supermarket — you can check before you buy. Collect vegetable cut-offs in a container in the freezer (the end of leeks, carrot tops, etc.) and you’ll be able to create a delicious veg stock for free when you need one. Don’t be tempted by BOGOF (buy one get one free) offers: if you don’t need it and aren’t going to use it, don’t buy it! 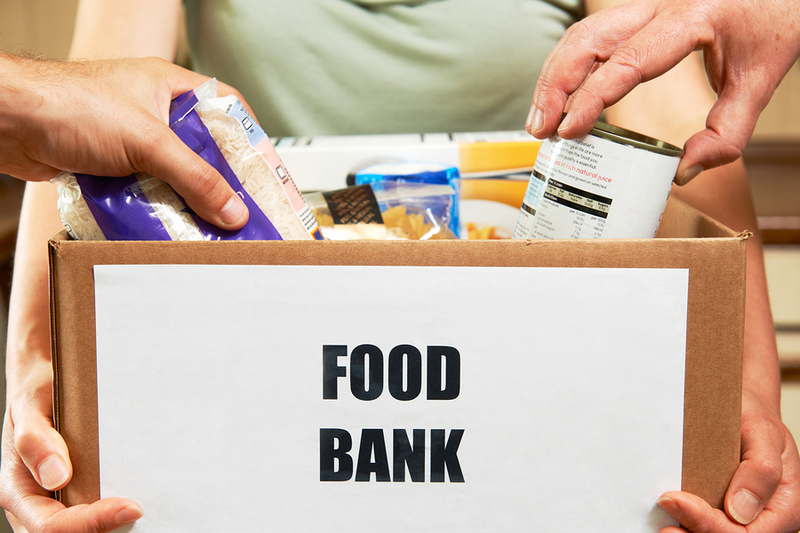 Donate excess food to food banks or list it on a food share app. Ignore ‘best before’ dates — these just mean the food will taste at its best before this date, but it’s often safe to eat for much longer. Do be sensible with this though: trust your sense of smell, sight and taste. ‘Use by’ is a more important date to take notice of, especially with meals containing meat or dairy. Don’t let your fridge, freezer or cupboards get cluttered: if you can see everything in there, you’re far less likely to forget about what is inside each. Start a food waste log: this can work brilliantly as a preventative. Buy ‘ugly’ fruit and veg as others may not. Turn old meals into new ones. For example, leftovers from a Sunday dinner can be used all week in various dishes such as sandwiches and curry. Aim to buy unpackaged produce where possible to cut down on the other waste associated with food. Interested in packing a zero waste lunch for work or school? Find out how, here. Previous Previous post: What is climate change & what causes it?